Sony Online Entertainment, which was recently sold to investment management firm Columbus Nova and rechristened Daybreak Game Company, has announced layoffs at its San Diego and Austin studios. 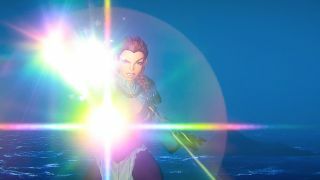 Among the employees affected are long-time Everquest Director of Development David Georgeson and Global Community Relations Lead Linda "Brasse" Carlson. The number of employees who have been let go from Daybreak isn't known, but the company issued a statement to Kotaku confirming the cuts. "As part of a strategic decision to rationalize the business, Daybreak Game Company announced today that it will eliminate positions in both its San Diego and Austin studios. This alignment of resources better positions the newly independent studio for future growth opportunities and developments, including delivering on its legacy of making top online games and establishing a solid foundation for future multi-platform success," it said. "These reductions will not affect the operation of current games and the company will continue on its mission to partner with its player community to drive the future and push the boundaries of online gaming." Georgeson confirmed his dismissal on Twitter, writing, "Yeah, I'm sorry folks but it's true. LM, eqn, eq and eqii are no longer guided by moi. Other dreamers will steer now." Carlson did the same with a farewell message on Facebook:"I have been released from the best and most challenging job I have ever had. I thank you all for being part of that incredible experience," she wrote. "Too many people to thank personally, but know that I am extraordinarily grateful and very curious where life takes me now." Daybreak Game Company's properties include Planetside 2, DC Universe Online, H1Z1, and Everquest.